Wisconsin women’s hockey goalie Ann-Renée Desbiens not only had one of the best season in Wisconsin hockey history, but in the collegiate history of the sport. To start, Desbiens is an official NCAA record holder, earning the most shutouts by a goalie during a single season with her 21 goalless outings this year. This number is a record for both men’s and women’s hockey, putting Desbiens above all other collegiate goaltenders. These shutouts helped propel her team to their second-place ranking nationally and first-place ranking within the WCHA. Desbiens’ superb goal-tending allowed the Badgers to begin the season with a nine-game shutout streak, helping build momentum and team confidence. Desbiens also boasted a .960 save percentage on the year, blocking 701 shots she faced at goal. She only allowed 29 goals the entire season, an incredible .76 points per game. 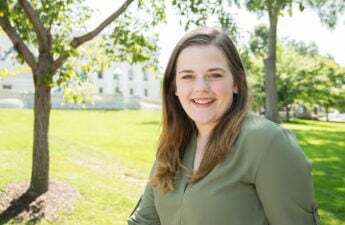 The student athlete was also recognized collegiately for her superb goaltending this year by the NCAA when she was nominated for the Patty Kazmaier Award, which goes to the best female in hockey. While she didn’t end up taking the award home, there is still no doubt she was not only among the best goalies in the sport, but overall players as well. The star goalie — who not only has the lowest points allowed ratio in the WCHA, but also has one of the highest save percentages in the league — is a favorite for the 2018 Winter Olympics for her native Canada. National competitions are nothing foreign to Desbiens. She competed in the 2015 IIHF World Championships, which helped her team secure the silver that year. She also boasted a 93.1 percentage save record in that the tournament. 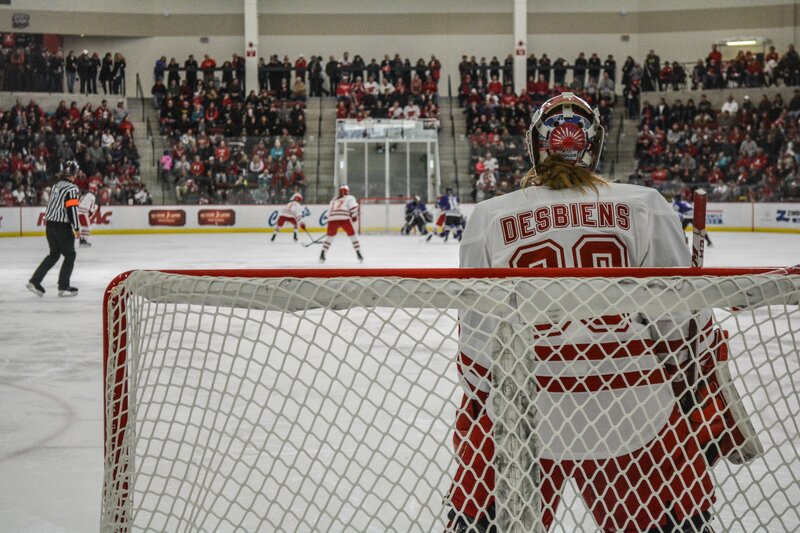 Now, with one final season left with the Badgers, Desbiens still has plenty of time to keep breaking records and setting new goals for the next generation of goalies to reach, and Badger fans will be happy to have her around for one more season. From the constant shouting of “Ann-Renée is bae” from Badger fans to the creative signs in French, it is clear the Wisconsin home crowd is more than fond of No. 30 in the crease.